superficial wounds such as scratches and minor cuts are common place among turtles. This is especially the case when it comes to turtles and tortoises that are housed outdoors or in groups of aggressive males. It’s not practical to take your injured pet into the vet every time it gets a cut not to mention it costing a lot of money in the long run. However, as a good owner, you need to treat these wounds, otherwise they might get infected and will require a trip to the vet. Usually all that is needed is some disinfectant, triple antibiotic ointment and a bandage. Begin by cleaning the wound with a disinfectant such as chlorhexidine gluconate or a 1:10 diluted povidine-iodine. Then use a magnifying glass to inspect the injured area. You might see small amounts of debris that needs to be removed. This can be done by using a clean gauze pad, Q-tip or a pair of tweezers (If you use a Q-tip, don’t leave any cotton fibers behind). Once the area is free of debris, protect it with some gauze and tape (Vetwrap, Band-Aid or New Skin). Finally, bring your injured turtle inside and place it into a hospital tank to avoid flies from laying eggs inside the wound (See botfly, blowfly) and to be able to clean the wound daily until it’s healed. The causes of respiratory infections include several bugs and viruses; Runny Nose Syndrome (RNS) and Mycoplasma agassizii to name a few. Fungal and bacterial infections are also known to cause respiratory illnesses. Often, these occur when living conditions are consistently too cold. In regards to land living, non tropical species or tortoises, having living conditions that are too damp can also lead to this type of illness. 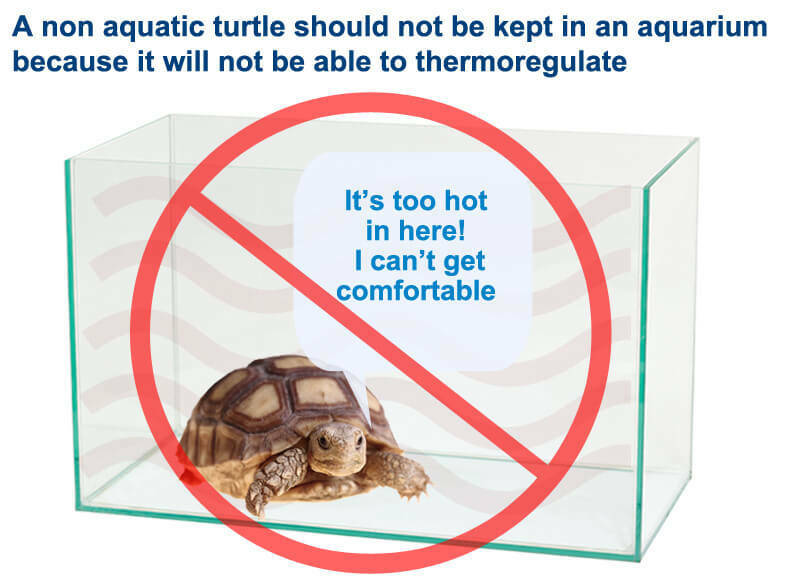 To treat a respiratory infections, raise the temperature of your turtle’s table or tank to 83-87*F (28-31*c). If your turtle is an aquatic species, check the water temp and make sure it is not too cold. If dampness is the issue, try using bedding material that is not as absorbent and provide better ventilation. Sometimes these fixes will be enough for your turtle to get better on it’s own but in more serious cases, a trip to the vet might be necessary. They will likely give you a broad spectrum antibiotic such as, enrofloxacin or ceftazidime. If you do use antibiotics, soak your turtles or tortoises several times a day so they can expel the toxins associated with the drugs. A bout of diarrhea is a clear signs that your turtle is not feeling well. The Feces of a turtle or tortoise should be firm, dark in color and have little odor. The causes of diarrhea include: watery foods like fruits, a diet that is too low in fiber, internal parasites or a virus similar to the flu. In any case, you should quarantine your pet in a hospital tank for observation. If the cause is thought to be something other than a poor diet and the diarrhea is greenish in color and watery, consider taking it to the vet for treatment. Dehydration is not something you might think affect turtles and tortoises but in reality, these animals need an adequate source of water. While the desert tortoise species do a good job of conserving water, they do benefit from a constant supply of fresh water. Signs of dehydration include:sunken eyes, flaky dry skin, tacky mucous membranes, thick saliva and weight loss. The cause of it is due to a lack of water in their system. Diarrhea is a major contributor to a dehydrated turtle. In severe cases, you should take your pet to the veterinarian. The eyes of your turtles should be fully open, clear, shiny and free of debris. If you notice that your pet has an eye or eyes that are swollen, sunken, crusty, pus under the eyelids or that they have trouble fully opening them, it’s a good indicator that something is not well. A turtle that can’t see won’t eat so it’s important to treat the eye infection or issue as soon as possible. Knowing how to treat an eye problem, you must first know what the underlying issue is. Many times, it’s the result of a lack of humidity, poor hydration or a respiratory infection. Sometimes it could be a simple as there being debris in its eye. Bedding materials that can poke their eyes or that throws up particles into the air should be avoided. Never use pine or cedar bedding not only because of the risk of debris getting stuck in your turtle’s eyes but also because these types of wood emit toxic odors into the air that can lead to liver damage. Another cause is due to a vitamin A deficiency. The harderian glands are susceptible to inadequate levels of vitamin A. This leads to less secretions and pus buildup. Too much vitamin A can also cause eye problems or what is called hypervitaminosis A. In this case, the eyes will look swollen and skin lesions and redness will appear. If the eyes are crusted shut, soak your turtles in warm water at depths of half its body. You can also try using a spray bottle to clear the eye of crust. Depending on the symptoms, you might want to add or subtract a vitamin A supplement from your turtle’s diet. In serious cases, a visit to the vet is needed to get a softening agent to help loosen up the crusty discharge. If you notice lumps, bumps or swelling under the skin of a turtle, it might be a sign of an abscess. These can occur pretty much anywhere on a turtle. Turtles are susceptible to middle ear infections which can result in an aural abscess that can be seen on the side of their heads. It looks like a big bump on the side of the head. In addition to ear infections, abscesses are caused by several other factors; these include: respiratory illnesses or poor turtle care involving dirty water, water that is too cold, having too much or too little humidity and or a poor diet. Many of these issue allow opportunistic bacteria to take hold and infect a turtles body. Experienced keepers are sometimes able to drain a turtle’s abscess without the need to go to a vet but if you have never seen it done or don’t know what you are doing, don’t attempt it; you might end up making the problem worse. A vet can use a needle or syringe to drain the pus and then treat the wound. It’s important to keep this newly formed wound clean and covered. It’s best to bring your turtle inside to keep flies and other critters from attacking the open wound. Captive turtles that don’t have adequate furnishings like rocks or rough walking surfaces in their turtle pens and or a poor diet that lacks some sort of hard foods like insects with bones can acquire overgrown claws or beaks. This can lead to a misshaped jaw and a difficulty eating or toenails that get caught in gaps that can get stuck and rip a toe right off. In the wild, turtles eat their food straight off the ground which can often be a surface that is rough. They will also walk on these same surfaces. What this does is help file down their beaks and toenails. Both the beak and toenails are made out of the same materials that our finger nails are made out of and likewise, also continue to keep growing their entire lives. While you and I can use a pair of nail clippers to cut our nails, a turtle’s beak is much thicker than any pair of clippers can handle (You can however trim their toenails with clippers). The solution for trimming a beak is to use a high speed rotary file. This will cleanly trim them down and avoid chipping or cracking. If you try to use a set of clippers, you can crack the beak which can become a serious problem. You then might have to take it to the vet to have the beak wired or secured in place with a type of cast in order for it heal safely. When trimming the toenails, be sure not to cut the quick. The quick contains nerves and tissue that will lead to pain and bleeding if cut. It’s located at the base of the toenail and can be seen as a slightly more opaque part of the toenail. Longer nails tend to have longer quick so you might have to slowly trim them down over time in order to get them to a proper length. Avoid overgrown beaks and claws by having some rough surfaces to allow them to walk and eat on and provide your turtle with a piece of cuttle bone to chew on. Cuttle bone is available at pet stores and often sold in the bird section. Many things can cause a turtle to stop eating. Some of them are nothing to worry about while others can be rather serious issues. For starters, if the temperatures drop to cold, turtles will stop eating. This is natural and happens right before the go into hibernation in late fall. If your turtle’s living space is too cold and you are not trying to hibernate them, add an additional heating element to warm their space. Another minor issue is that your turtles have become picky eaters and you are not offering them food that is appetizing to them. Or, it could be that one of your turtles is just shy and doesn’t want to come out to eat. In these cases, try switching up the foods you feed them and for the shy ones, feed them next to overhanging plants for an added sense of security. 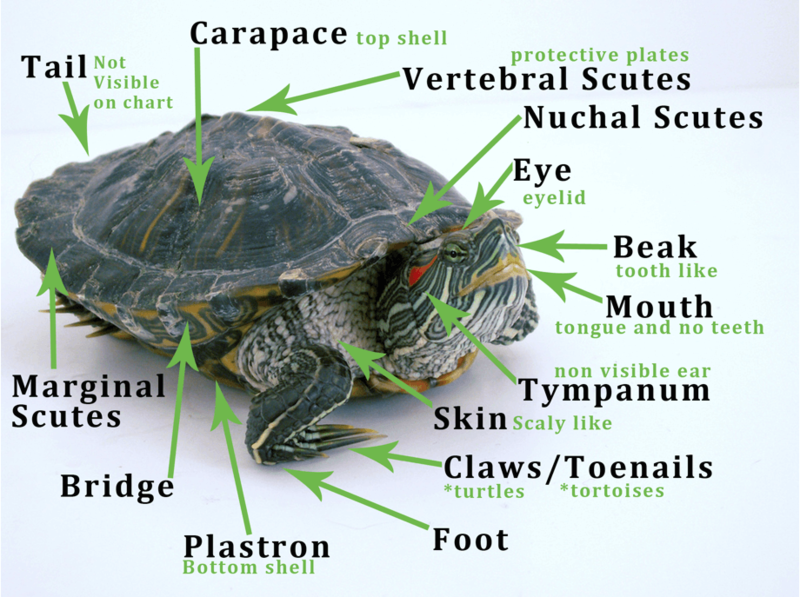 More serious problems can include any of the following: your turtle can’t see, has a respiratory issue, an overgrown beak or Dystocia (egg binding). If you notice that your turtle isn’t going to the bathroom, strains while trying to go, has a prolapsed cloaca or it’s been some time since its last bathroom break, it might be suffering from constipation or a gut impaction. Constipation isn’t that serious of a problem; although constant bouts of constipation can lead to an impaction. To cure constipation, try adding some more greens into their diet and allows them to soak a few times a day. That should be enough to help the digestion to work itself out. Impaction is similar to constipation but is much more serious. When a turtle eats off the substrate floor and not on a flat rock, it might ingest sand and dirt which can cause blockage. Additionally, blockage can occur when your turtles eat to many indigestible foods such as shell or bones or from internal parasites. You can try to treat a gut impaction by adding salad oil or vitamin E oil into your turtle’s food to help lube up its digestive tract. Also, soak them several time a day to encourage them to go to the bathroom. If those fail to remedy the problem, you might try a feline hairball remover. If non of these tactics work, after a week or no bathroom breaks, take your turtle into the vet for additional treatment options. Metabolic bone disease or nutritional secondary hyperarathyroidism is what’s called when a turtle’s shell grows irregularly or at a slower rate as the rest of its body. The signs and symptoms of this can include: a softened shell, a malformed shell or bones, depressed or inward looking shell, thickening or curling of the marginal scutes, Pyramiding of scutes or a turtle that drags itself while trying to walk. The causes for this debilitating disease is an improper diet that is low in calcium or a turtle or tortoise that doesn’t receive enough full spectrum sunlight. Calcium helps build strong bones and Vitamin D helps in that process as well. Since a turtles shell grows slowly, it’s often not easy to see a problem until it has already taken a toll of your pet. In regards to pyramid shaped scutes, this is often caused by low humidity or excessive protein in the turtle’s diet. To avoid this becoming a serious issue, as soon as you notice a shell deformity, you should to feed your turtle more calcium rich foods like dandelions, collard greens, mustard, or endive and calcium supplements. Additionally, provide it with more UV B light. The best source of Vitamin D is natural sunlight so allowing your pet some time outside is a good idea. UV B light doesn’t penetrate through glass so if your light has to go through a glass hood before reaching your turtle, you need to remove it. 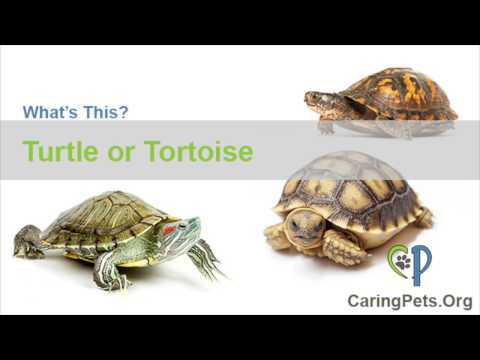 This condition can kill you pet overtime and it definitely won’t have a good quality of life with an undersized or deformed shell – It’s not a bad idea to take your turtle to the vet when you first notice signs or metabolic bone disease. Shell rot or Septemic Cutaneous Ulcerative Disease (SCUD) is caused when a scratch, open wound or some other injury becomes infected with an opportunistic pathogen such as a bacterial or fungal infection. Bacterial infections cause a wet rot and fungal infections cause a white rot. Most cases of shell rot occur in aquatic species but land species of box turtles and tortoises can also get it. The signs of wet rot include: a spotted discolored shell that is soft which may or not smell rotten. The symptoms of dry rot include: pitted, flaky and whitish patches on the shell. The root cause of shell rot is often due to dirty water. To avoid this condition, keep your turtle’s water clean by changing it often. If your turtle is already suffering from a case of shell rot though, you will need to treat it before it gets worse. You will need to take your pet to the vet to allow them to remove the rotten parts and prescribe an antibiotic to help fight the infection. You will then be told to keep your turtle dry and only allow it to be in the water for a short period each day. Keeping the shell dry helps slow the infection from spreading and the short soak keeps your turtle from becoming dehydrated. Mouth rot or Necrotic Stomatitis is often caused when a long term illness allows opportunistic bacterial or fungal infections to infect the mouth of your turtle. This can look like the following: cheesy white growths, pus and dead tissues, red and black blisters on the tongue or palate of the mouth. The best way to treat this condition is to take your sick turtle to the veterinarian for a anti-fungal medication and or some antibiotics. If you recognize any combination of these symptoms, you should make a visit to the vet. Your vet can take a stool sample to see exactly what type of parasite your turtle is infested with. In fact, you should have your turtle’s stool tested once or twice a year during its regular checkups. If parasites are indeed the problem, you will be given a prescription for deworming meds. It’s important to let your vet tell you what dewormer to use since some of the ones used to treat worms in other animals are toxic to your turtles. Don’t use Ivermectin, Piperazine. Some safer ones include: Pyrantel Pamoate for parasite worms and Praziquantal for tapeworms. There are a few protozoans or single celled organism that can be problematic for turtles and tortoises. Hexomita, Coccidiosis and Entamoeba are a few of these. The signs of Hexomita includes urine that is dark green and smelly, anorexia and fluid retention. This can lead to kidney damage and death if gone untreated. Coccidiosis can be spotted by observing severe diarrhea. These can be treated using flagyl (Metronidazole). 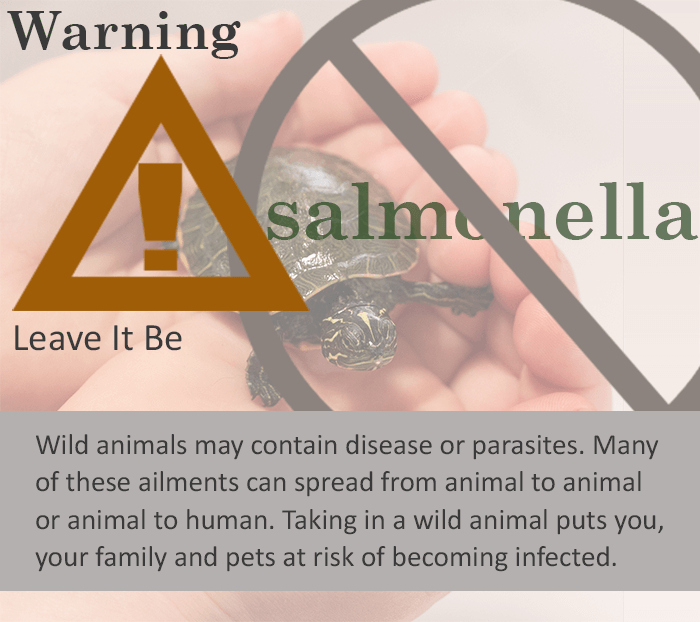 An infected turtle with Entamoeba doesn’t always show and physical signs but they can infect other types of turtles and kill them. This is another reason not to house multiple breeds in the same tank or pen. Several of these garden and pond pests can be treated just by picking them off with a pair of tweezers or by scrubbing them off as with mites, ticks, leaches and chiggers. More in depth information on mites and ticks and fly larvae will be discussed in sections immediately below. When dealing with fire ants on the other hand, you need to be careful; not only so you don’t get bit but also that you eliminate the source of them (the ant hill). Fire ants can kill your pet turtles since the natural defense or a turtle is to tuck in instead of fleeing for safety. The ants get inside and attack the head, legs and marginal scutes of your tucked in turtles and with enough bites, it can be deadly; especially the smaller ones. You can use boiling hot water to pour into small ant hills but if they are larger, you might need to use chemicals or bait traps to eliminate them. If you use chemicals inside your pen, you need to keep your turtles away from it. Add a temporary fence around the problem area and then after treating, remove the treated substrate. Bait traps can be placed inside a bucket with some holes in it that only the ants can get into. Bait traps seem to be the easiest and safest way to eliminate fire ants. All of these safety measures will keep your turtles from ingesting any toxic chemicals. Mites and ticks appear as tiny dark specs usually on the backsides of the legs or neck of a turtle. There are several kinds of mites and ticks but none of them are usually result in a major problem. To remove ticks, use a pair of tweezers or your fingers to carefully pull on the thorax of the pest. It’s important to try and pull them off in one piece (pull straight up for best results). If you leave the head attached to the skin, it can cause an infection and require additional treatment from a vet. Snake mites (ophionyssus natricis) can be a problem with turtles that are kept inside near other reptiles like snakes. Take the turtles and using a toothbrush, scrub their shells, legs and heads with warm water and antiseptic. You may need to repeat this several times in order to completely remove the mites. Around the eyes of the infested turtles, add a layer of ophthalmic antibiotic ointment. If you use a commercial miticide, make sure they are safe for chelonians. That means don’t use miticide that has Ivermectin or organophosphates. To minimize the chances of another outbreak, in outside pens, turn the substrate and allow it to dry out before adding a new layer on top of it. In inside tanks, clean all the surfaces, boxes, bowls, hoods and glass and replace the substrate. Botfly: The Botfly will lay its eggs on the skin around the turtle’s neck or legs. When the larvae hatches, they will chew holes in the skin and eat the flesh as they grow. Blowfly: The Blowfly or flesh fly (Lucilia Sericata and Cistudinomyia cistudinis) can smell blood and flesh. They will quickly lay their eggs inside an open wound. The maggots that hatch and eat large amounts of flesh in what is called as a myiasis or “fly strike“. These attacks can lead to large amounts of blood and mass loss leading to death in serious cases. To treat this condition, you will probably have to take your turtle to see a vet where they will cut open the lump and remove the larvae by flushing the open wound with povidone-iodine. Experienced keepers can do this themselves but a vet can provide a local anesthesia like Lidocaine. After the larvae are removed, a bandage will be needed to stop the bleeding and protect it from another attack. A covered hospital tank is the best way to keep botflies and blowflies away. Gout is most common among plant eating tortoises. It’s caused by an improper diet that includes too much protein. When gout occurs, crystals form in the turtle’s joints causing them to become stiff and swollen. Your turtle will might have trouble walking and in general, look un happy. You should bring the turtle to the vet for medical attention. They can prescribe pain medication and also give injections to relief the pain. You will also have to decrease or eliminate most of the protein from your turtle’s diet. Many tortoises are herbivores and don’t eat protein. The herpes virus is a viral infection that can spread among groups of turtles and tortoises. Hatchlings that kept in large numbers in a single tank are susceptible viral infections. When you buy a baby turtle, it might not show any signs of illness but if you were to add it into a tank with a turtle of a different species, you might infect that turtle. Some turtles have certain immunities that others don’t; that’s why you should avoid mixing species in the same habitat. A cracked shell can be the result of an attack from a predator, an accidental fall due to a clumsy handler or some other type of trauma like a fight with another turtle (although a cracked shell is rare during a fight between two turtles). A cracked shell is a very serious problem. The crack can get worse, become infected and even lead to death. If your turtle has a cracked shell, you should immediately take it into the vet to have it treated. A veterinarian can give your hurt turtle some painkillers and place a cast onto the shell until it can heal. While your turtle is in a cast, you should keep it in a hospital tank to avoid any complication. The cause of a paralyzed limbs is not easy to diagnose but it may be directly related to metabolic bone disease and abnormal growth of the shell and bones. This type of growth can put pressure on the spinal cord and paralyze the the turtles legs. If that isn’t the cause, it could due to a viral infection that effects the muscles or causes nerve damage. Other reasons might be due to arthritis, gout or a complication during pregnancy. In any case, you should bring your disabled turtle into the veterinarian to see what can be down to treat it. In certain cases, this condition is treatable and in others, it is permanent. Dystocia or Egg Binding is when a female turtle can deposit her eggs. The signs and symptoms of this can include the following: pacing, weak or disabled legs, constipation, fasting or a turtle that soaks often. Sometimes a female won’t lay her eggs if she doesn’t have a suitable substrate to dig and deposit her eggs into. None the less, if you feel you turtle might have Dystocia, take it into the vet for an X-ray to see what the issue is. Your vet can treat the problem in several ways. One way is to induce egg laying by injecting the pregnant female with doses of calcium borogluconate and hormone oxytocin. If that doesn’t work, the vet can do surgery to remove the eggs through the plastron or cloaca. If you just found your turtle drowned in its water or ever do, it might not be too late to try and revive it. Turtle can last a lot longer than most animal in instances of oxygen deprivation. What you can do to try and breathe life back into your turtle is to push its hind legs in an out while its head is tilted downwards. What this motion might do is force the water out of your turtle’s lungs and air in. You should perform this for about 15 minutes before giving up. Avoid this situation in the first place by providing a swimming area that is at least one and half times deeper than your turtle is long (aquatic turtles). This will allow it to right itself and not get stuck upside down in the water if it happens to fall in upside down. In terms of a land species watering hole, make sure it has low banks with a subtle slope into the water. The turtle should be able to stand on its feet with its head safely out of the water. I found a box turtle while walking atlround in the woods. Usually I would just look at it and leave but I noticed that it was missing one of its hind feet. Upon further observation I noticed how much difficulty it had moving around. I was curious if there was something I could do to help it, perhaps even take it in. I have kept turtles before but I was wondering if there was something better to do to help it. Hi, I noticed my turtle’s armpits (skin behind his front legs) where his feet rest when he’s inside his shell are both sore like at first I thought he got it scraped but when I saw it was on both legs and exact same area, I thought like sores since he is always under his substrate. The skin on both areas are peeled and the exposed parts all reddish. His skin around the red sores is dry like how it is around a wound. Am I wrong that he has sores due to him being always under and his legs’ position caused the sores? I would dig him up to eat which he would gladly do, his appetite is great but he just likes being under. I do walk him for an hour every other day for some natural sun and heat- I used to walk him everyday but I was concerned I was stressing him as he just kept wanting to go to the shade. He does not like basking either. my star tortoise is eating but neck is shaking too much. pls help us. I would reach out to a veterinarian. That behavior could be due to a lot of things. It could be nothing or something serious. Only a trained professional would really know. I know that is not the answer you were looking for but it’s better to be safe than sorry. We don’t ever want to give bad advice when it comes to the health of a tortoise. have not noticed her eating yet, I gave her blueberries and tomatoes with salad and shredded carrots. Any help would be greatly appreciated. My turtle fell down from about 3 feet it immediately got it’s neck halfway inside it’s shell yesterday afternoon . And now it’s got a swollen eye. I had put him in a medicinal dilution . But its eye is still swollen and has a flim like over it. I have a Musk /skunk turtle. Guessing Female. 40 gallon tank. Two filters. Both rated for 40+gallons. Diet is fishing worms and minnows, won’t eat anything else. I change water biweekly and filters monthly. White film /goo is in tank and on turtle. I changed water and filter 3 days ago. White film/goo is still present. Film/ goo is on all objects in tank even after I took out all decorations and kept to bare minimal life support systems. How can I get ride of this film?